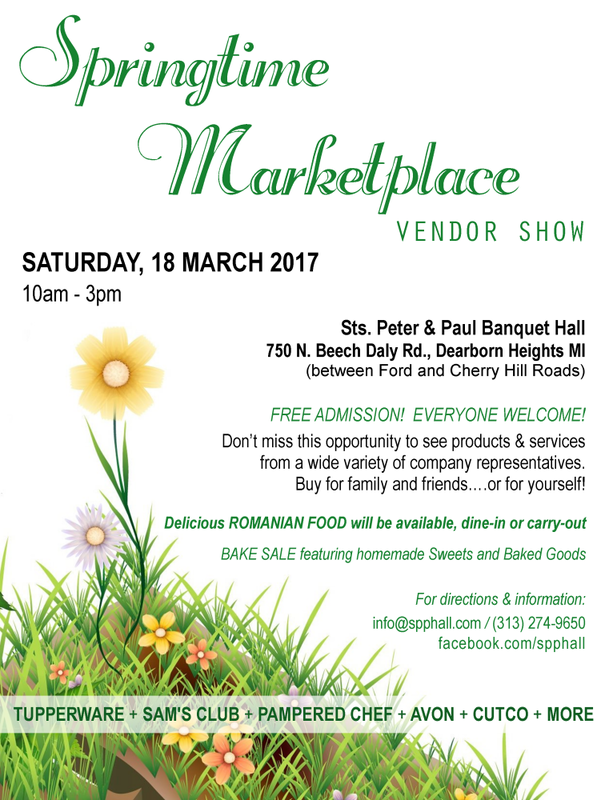 Our Ladies Auxiliary will again hold their annual Springtime Marketplace Vendor Show on Saturday, March 18, 10am-3pm. Everyone is invited to come shop and enjoy some delicious food. Representatives from a variety of companies will be displaying their products and services, including jewelry, cosmetics, financial services, kitchen accessories, food products, clothing & fashion accessories, health products, and more! In addition, our ladies will prepare delicious homemade Romanian Food for dine-in or carry-out, as well as a Bake Sale of delicious baked goods. Please see advertising flyer for more information, or visit and share our Facebook Event page by CLICKING HERE.